An inchworm (ak.a. a caterpillar of the family Geometridae) stands up on a birch leaf. 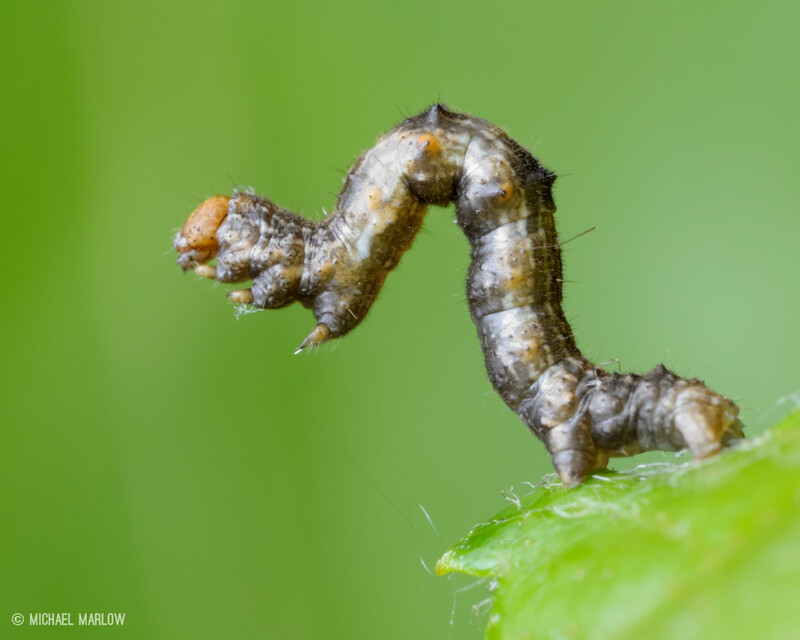 Inchworms are caterpillars in the family of moths known as Geometridae, which taken from Greek literally means to measure (“metr-“) the earth (“geo-“). The caterpillars (i.e. larvae) are also known as “loopers” because of the way their body bunches up (into a loop!) as they move along. A caterpillar can generally be identified as a geometer if it only has two pairs of prolegs, which are the fleshy, stubby “legs” at the back end. In this photo, you can see the two pairs of prolegs holding onto the leaf while the true legs are the three short, pointy appendage near the head. I’d say these critters have a pretty reliable unit of a measurement, but I’m not sure you could get one to move in a straight line for very long. We’ll probably have to stick to rulers and tape. And on a different note, à propos of only this photo, this is the only caterpillar ever to bite me. 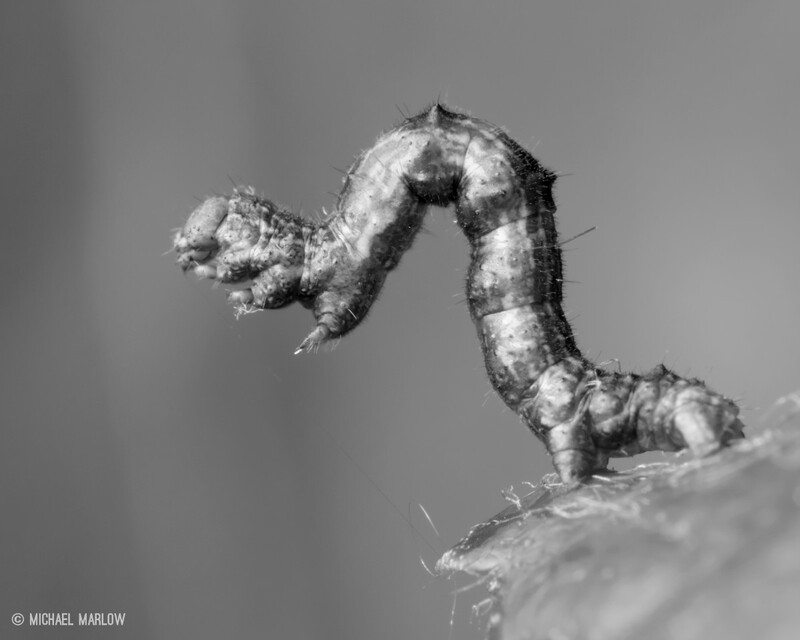 Posted in MothsTagged black and white, caterpillar, Geometridae, inchworm, Macro Photography, macrophotography, monochrome, nature photographyBookmark the permalink. Nice shot, you got a great pose. I knew caterpillars could bite, I’ve seen the holes in leaves, but I never knew one to bite a person and we used to handle them all the time as kids.